T-L Photo/KIM NORTH MARTINS FERRY’S Abby Bumbico came within two outs of hurling a perfect game Friday as the Purple Riders blanked visiting Harrison Central, 9-0, on the Rider Little League Baseball Field. She retired the first 19 Huskies she faced before yielding two seventh-inning singles. 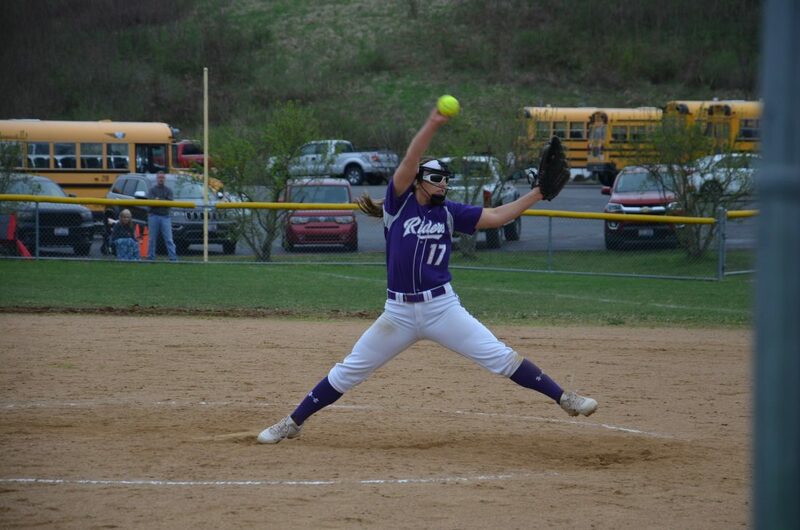 The Martins Ferry senior retired the first 19 Harrison Central batters she faced before settling for a 2-hitter as the Purple Riders (9-3) blanked the visiting Huskies, 9-0, in softball action on the Rider Little League Baseball Field. Bumbico needed just 77 pitches, of which 52 were strikes in the 1-hour, 31-minute affair.